When you are looking for freelance writing jobs, it can be very tempting to apply for any and every opportunity you see – whether you are a good fit or not – especially when you are getting started as a freelancer. This type of approach could work and there are some people who do find gigs in this way. I suppose the idea is that if you put enough applications out there, sooner or later someone will respond. The issue with this type of job hunt is that the prospective clients who do respond may not be the ones that are a good fit for your skills and abilities. Far too many people use the same approach to looking for work as they do when they are at an all-you-can-eat buffet. You would think that the words “all you can eat” would encourage diners to take their time and plan what and how much they want to eat because they can get in line as often as they want. Instead, they take a linear approach to the buffet line, starting at one end and putting items on their plate. This works out really well in theory, but by the time they get to the good stuff (i.e. dessert! ), they either don’t want to eat anything else or are so full that they don’t enjoy it anyway. 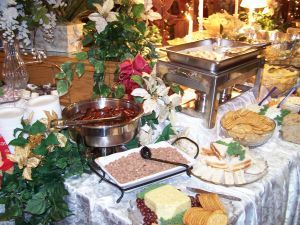 A much better way to approach the buffet table (without having to fight with your family members about who has dibs on the couch once you get home) is to take some time to do a little recon to find out what the buffet has to offer. Figure out which dishes you are most interested in trying and make sure you include them in your meal. Keep in mind that since this is an all-you-can-eat buffet, you get to go up more than once. 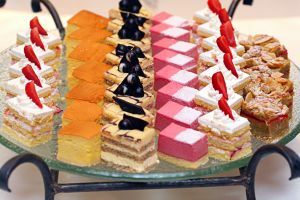 There isn’t one magic food on the buffet, any more than there is one magic freelance writing job and that once the opportunity has passed, you will never find another one. Just get back in line and see what else is available by conducting a focused search on the types of gigs and clients that are right for you. I strongly believe that taking the ‘all you can eat’ approach to trying to land writing gigs can actually hurt your career as a freelance writer in the long run. Sure, you’ll get a little money in your pocket fast, but you’re going to have to work a lot harder to convince a client that you’re worth more, if you’re clearly taking on any project you can. Be selective, though, and clients will come to the conclusion that you’re not desperate, that you don’t *have* to take their project. That means you’re worth more money, at the very least. This is excellent advice, Jodee. When writers apply for jobs based on their specific skills and talents, it boosts the odds for success. I am using that philosophy when looking for work on this site! Great post!! I made this mistake when I first started but I guess the saying is true, “You learn from your mistakes”. I wasted a lot of time by just going for every single thing I saw but to no avail. Now I find it much easier to take my time. Again great post!! Well, mostly I agree, except in the beginning I didn’t know what I might specialize in… started submitting in three or four areas before a couple stuck. Back when I was answering a lot of job ads, I quickly developed a system — if the ad didn’t mention a specific expertise that I was just SO right for, I didn’t apply. I tried to send at most one or two resumes out a day. But I got about a 30% response rate to the very targeted ones I sent out, scanning for really quality opportunities that were perfect for me. @ Craig: Over time, you figure out what kinds of gigs are the best fit for you. @ Anne: I appreciate your thoughtful comment. @ Carol: It sounds like the targeted approach to finding gigs worked out well for you, and you weren’t spending hours answering ads that weren’t a good fit.